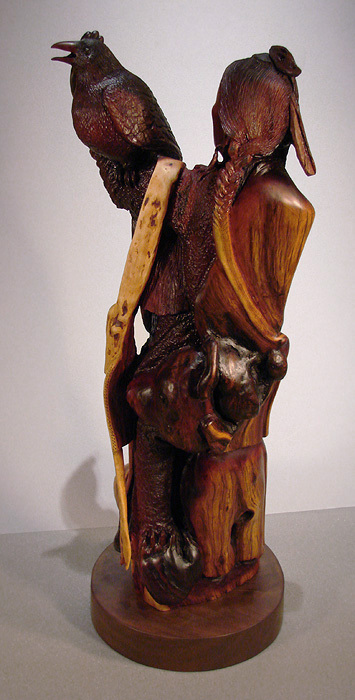 This unique Manzanita wood carving has the likeness of Floyd “Red Crow” Westerman of the Dakota Sioux Nation. Red Crow is a Native American Actor, Musician, Political Activist, and Artist. As an artist Red Crow used the old Chiefs and Native American Leaders as his main subject. He also appeared in several movies. His movie roles included Ten bears in “Dances with Wolves”, Running Bear in “Swing Vote”, Chief Eagle Horn in “Hidalgo”, and Chief Iron Spoon in “Dream Keeper”. Alex incorporated many of Red Crows movie roles into the wood carving including a bear head, ten bear claws on his necklace, and a bearskin robe which represent Floyd as Ten Bears. An extended bear claw represents Red Crow as Running Bear. 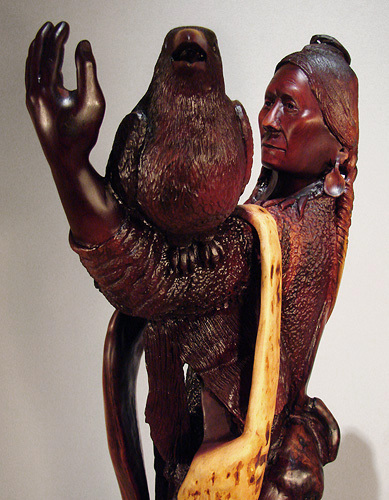 An eagle is carved in the knife handle and is strapped to his waist. Red crow is also wearing Iron spoon earrings. A tobacco bag hangs down his arm along with a medicine wheel tied in his hair representing that he was a medicine man. The red crow sits on Floyd’s arm to represent his Indian name Red Crow. 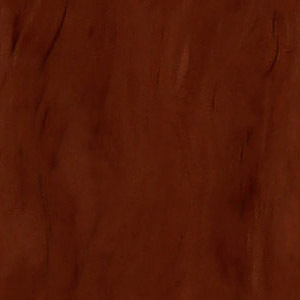 Alex combines the original natural forms of the wood while incorporating images into the Manzanita wood sculpture. 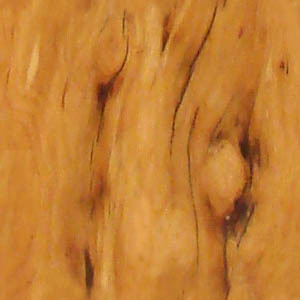 The Manzanita wood is a hard wood that comes out of the foothills of California. Some of the local tribes used this wood for medicine.